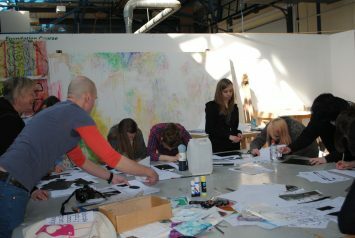 Motion graphics designer Matt Moate asked the Club members of Bangor University to prepare postcards based on their journeys to college. 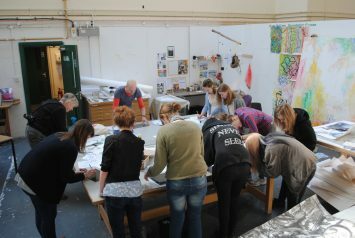 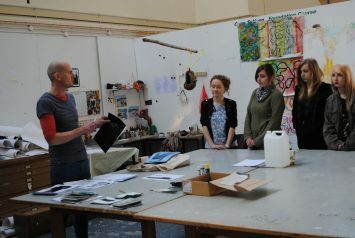 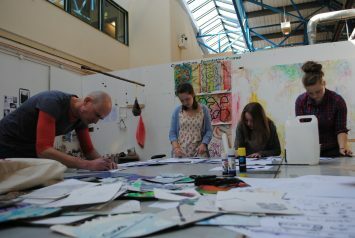 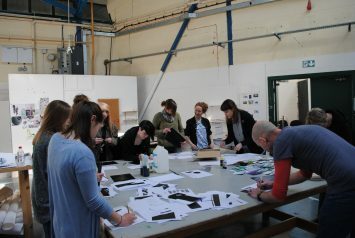 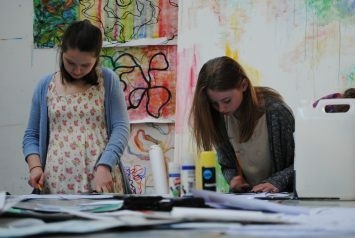 During the Masterclass they created abstracted images combining found photography with paint and relief print. 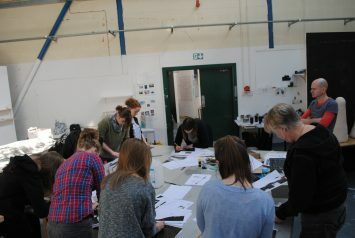 They used scanned versions of their work to make a series of animations reflecting the theme ” Journey”, with a sequence of images and a soundtrack of vehicles moving through a tunnel.